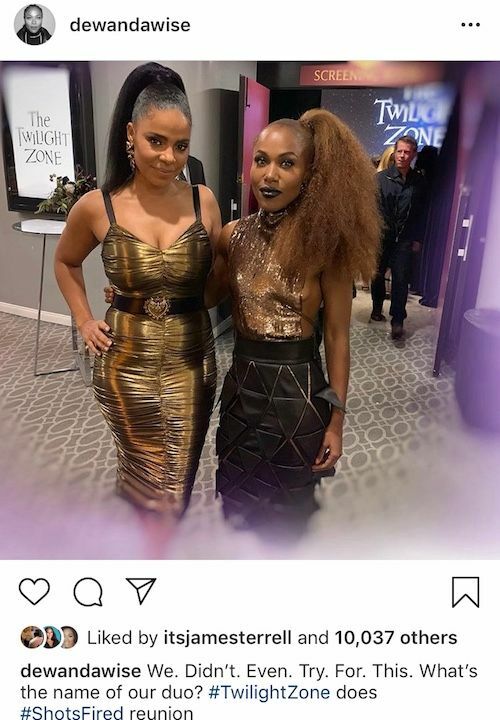 Following her beast of a performance in Nappily Ever After, Sanaa Lathan is back on the promo trail for not one, but two new projects she has lended her talents to. The queen of romantic comedies changed up her usual acting roles to get her feet wet in different genres. And we're here for both. She's playing a mother in HBO's upcoming drama Native Son and she'll have us on the edge of our seats in Jordan Peele's "The Twilight Zone" modernized reboot. The gorgeous actress pulled up at HBO's "Native Son" screening held at Guggenheim Museum in NYC with some sophistaced fab. 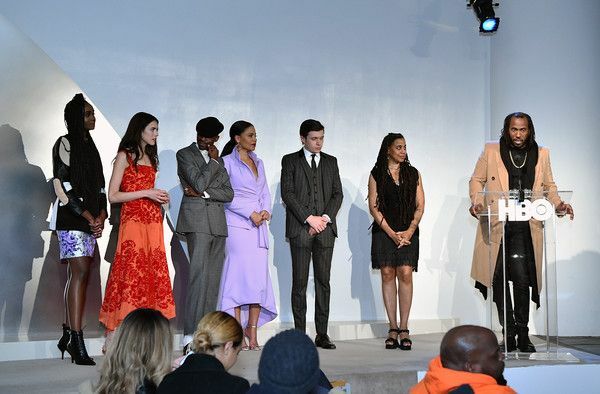 She served up First Lady realness in a lavender Christian Siriano ensemble. The "Shots Fired" actress sat down with VIBE to talk about how deep and heavy her role as Trudy Thomas (Big's mother) is in "Native Son" - which reimages Richard Wright’s 1940 novel - and the roller coaster emotions she felt while portraying a black mother raising a black son. VIBE: How do you think this film will be digested? SL: It’s interesting. I read Native Son when I was in junior high school. I just remember being stunned by it and those images would instantly come back to me when the title would come up. Then when I watched it at Sundance inside that big beautiful theater I was taken through this rollercoaster of emotions. When I left, I didn’t know what to feel. It took me a couple of days. We had press the next day. We had a lot of discussions the first time I heard Rashid talk about. I think that’s great. I think that’s what art should be. You have to sit with it. You have to think about it and think about what you feel. You have to discuss it. I think it’s going to do that for a lot of people. VIBE: The bond between Big and his mother is strong. As he’s leaving, your character says “be careful.” But it’s not be careful and look both ways when you’re crossing the street. There was a deeper meaning behind that. How did you craft your role so that way your two words “be careful” would be so heavy? SL: Just being conscious as a person in America right now, you have to be tapped into what’s happening. I’ve been heartbroken for the last several years. I’ve played roles where I have to deal with this subject a lot. Shots Fired, I’m playing a cop who’s dealing with police brutality and murder and that has been in consciousness for years. Even when I’m driving my car and I see a cop behind me, there’s a fear that comes up that’s bigger than fear of getting a ticket. I also identify with her as a mother who loves her son. Just thinking about all mothers who want her kids to survive and thrive and be good and do well and that’s all she wants for him. That was easy for me to tap into and then when I met Ashton [Sanders] it was immediate chemistry. I wanted to be a nurturer to him. I wanted to take care of him. I had that compassion for him just as a young, black man coming into this business. I was even surprised by my own concern. I kind of interrogated him the first couple of days about his life. So having that chemistry with somebody just makes your job easy. 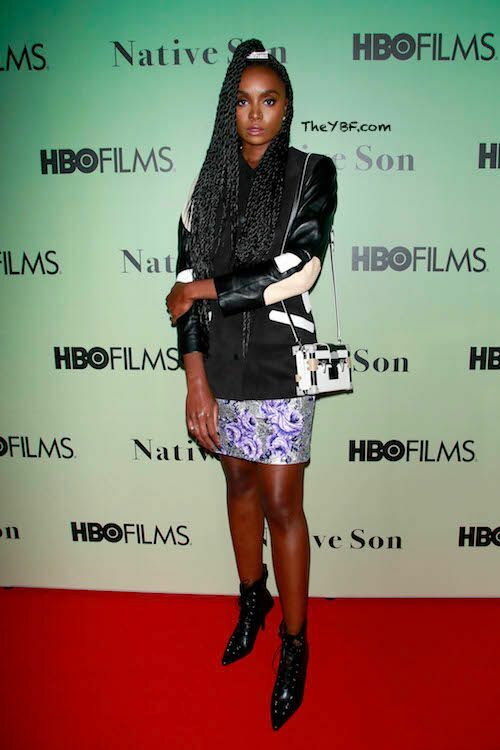 Braided beauty Kiki Layne - who plays Big's girlfriend Bessie in the movie - popped up on the scene in Louis Vuitton. Chick isn't showing any signs of slowing down since starring in If Beale Street Could Talk, which earned Regina King an Oscar. 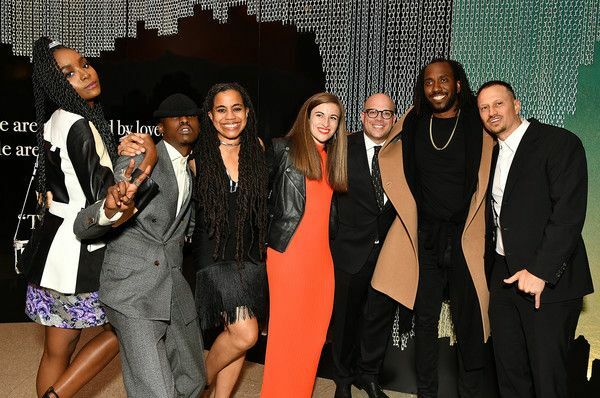 The ladies snapped it up with their cast mates - including Margaret Qualley, Ashton Sanders, Nick Robinson and Bill Camp, along with playwright Suzan-Lori Parks, director Rashid Johnson - and hit the stage to dish on the new flick. 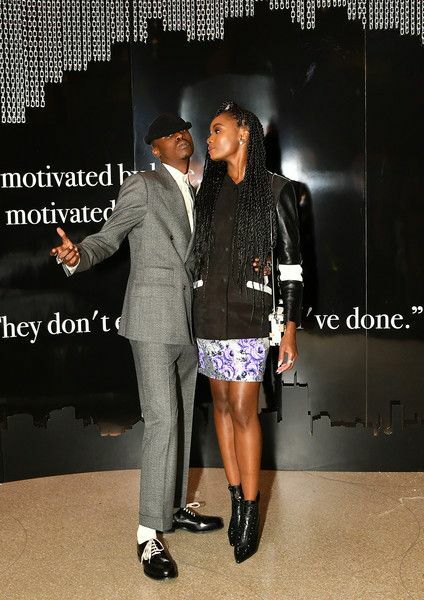 Kiki's DePaul University classmate Ashton Sanders plays her love interest/main character Bigger "Big" Thomas. Cute. 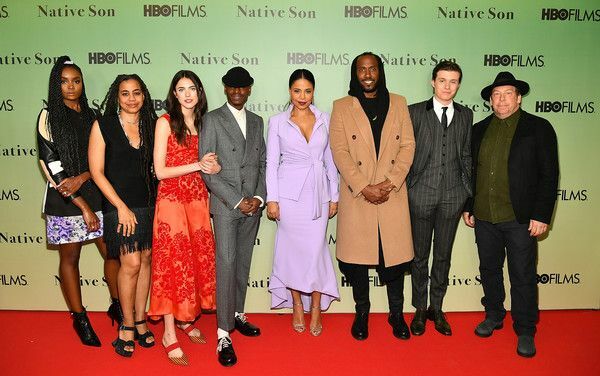 "Native Son" premieres this Saturday, April 6th at 10pm EST on HBO. Damn Sanaa! Just slay our lives why don't you! 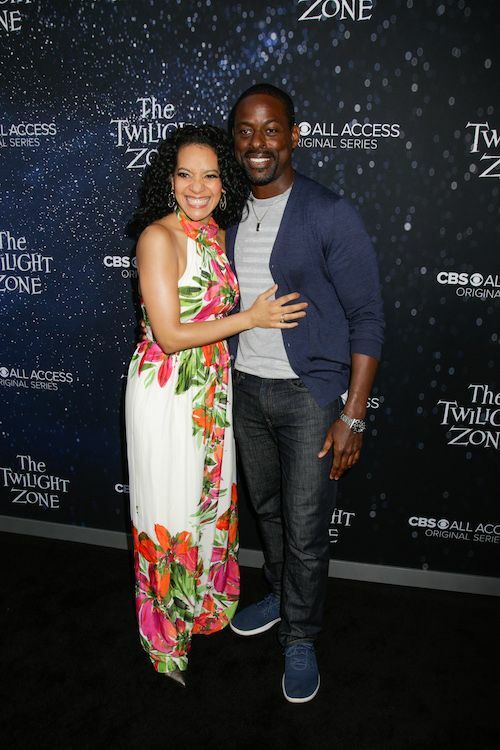 The award winning actress popped in on CBS All Access' new series "The Twilight Zone" premiere held at the Harmony Gold Preview House and Theater in Hollywood. The highly anticipated CBS All Access series, hosted by Jordan Peele, will take viewers through several scary dimensions based on the first look. Jordan Peele will narrate all of the action set to go down in each episode. And he's also executive producing. It's a reboot of the science-fiction series, originally narrated by Rod Sterling, that originally aired on CBS from 1959-1964. We need this dress and this bomb ponytail. STAT! By the way, "She's Gotta Have It" returns to Netflix in May. Deets on the new season HERE. THE man himself showed his face for the screening. 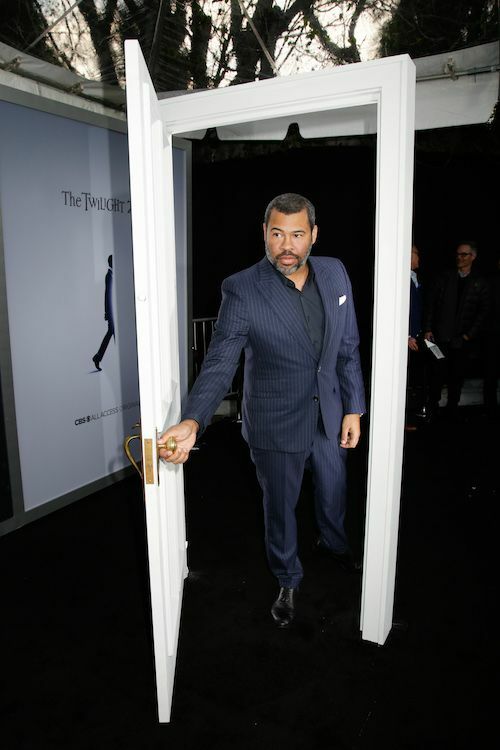 TheYBF.com recently caught up with the Jordan Peele and he shared his 8-year plan with us. Find out what he has in store HERE. 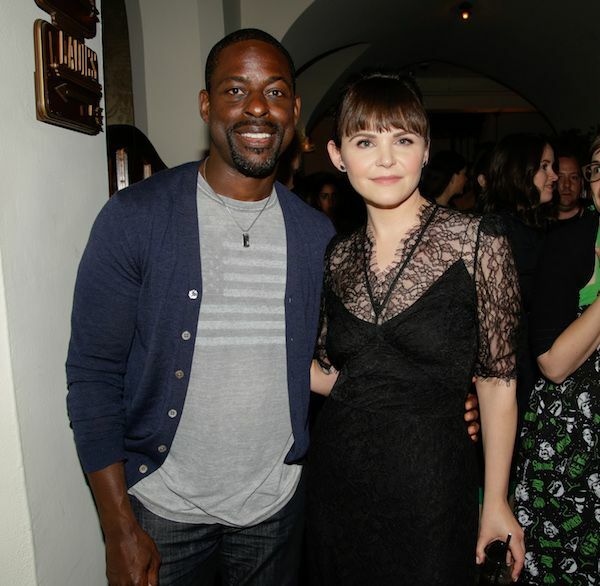 "This Is Us" star Sterling K. Brown (pictured with "The Twilight Zone" stars Zabryna Guevara and Ginnifer Goodwin), Barbershop actor Sean Patrick Thomas and his wife Aonika Laurent were also on the scary scene. 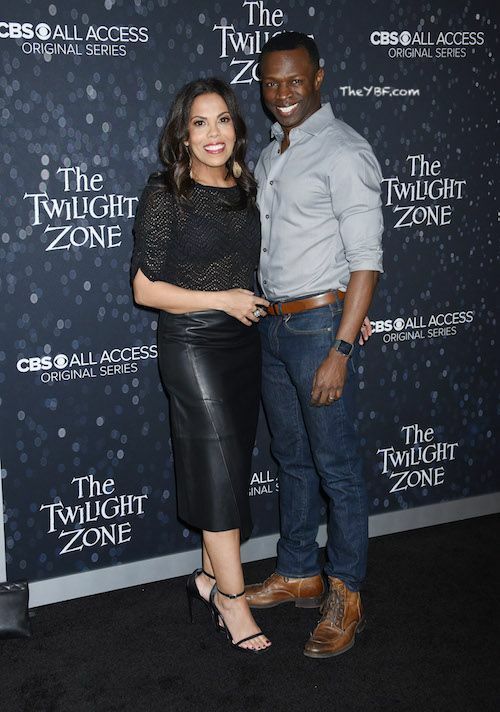 "The Twilight Zone" premiered April 1st on CBS All Access. Did you watch?